Christian books, websites and TV programs often claim modern historical events are fulfilling prophecies of the Bible. The Second Coming of Christ and the “end of the world” are dominant themes in evangelicalism. The belief that these events are imminent in our day and “could happen any moment” pervades almost every branch of conservative Christianity. This state of affairs reached an apex as we approached the Year 2000. Modern wanna-be prophets took advantage of the hype surrounding the end of the millennium. And like the failed “seers” of the past, the results will be more baseless predictions about Christ’s Second Appearing, further distortions about the Book of Revelation, and increased disillusionment with Christianity in general — that is, unless rationality can be reintroduced into the study of the Bible. The term “eschatology” simply means the “last things” of a given issue. Biblical eschatology involves the “last things” God did to complete His plan of redemption and salvation. It typically includes such concepts and events as the Second Coming of Christ, the resurrection of the dead, the Day of Judgment and the end of the “world” (or age). Some Christians believe these events will occur in the future when the physical universe will be destroyed. Others believe Christ will return to earth to reign for 1,000 years, then the “end of time” will come. Still others believe many prophetic events already have been fulfilled but others are soon to occur. These views share a pessimistic outlook of the future and an escapist mentality for Christians (escape from this earth and its problems). But is this what biblical eschatology is all about? Contrary to popular belief, the Bible is not concerned with the destruction of the universe nor with the end of time. In fact, the phrase “end of time” is never used in the Bible. The focus of eschatology was never the elimination of humanity, but rather the spiritual reconciliation of humanity to God. The Scripture does mention “the time of the end” (Daniel 11:35; 12:4, 9), a time when God finally would complete His covenant of eternal life, which He “promised before time began” (Titus 1:2). “And this is the promise that He has promised us — eternal life…. and this life is in His Son” (1 John 2:25; 5:11). Eschatology is about the establishment through Christ of an “everlasting covenant” between God and His people (Ezekiel 37:26-28; Hebrews 8:7-13; 13:20), a “better covenant” founded on “better promises” than the fleshly covenant of Abraham (Hebrews 8:6). The “last days” in the Bible were not the last days of the universe but the last days of sin’s power to separate people from God: “The sting of death is sin, and the strength of sin is the law” (1 Corinthians 15:56). When the law passed away in the A.D. 70 destruction of Jerusalem, sin’s power was destroyed, the “last days” were ended, and God’s salvation in Jesus was consummated. Christ had completed His atoning work “in heaven itself” (Hebrews 9:24-28). Likewise, although the Bible contains invaluable historical information, it is not about the history of humanity. Instead, the Bible details the history of human redemption — the story of how God tirelessly pursued a relationship with people, His highest creation. This He did by providing a way to atone for sin. The establishment of the everlasting covenant in Christ and the removal of sin and death (separation from God) is the focus and purpose of biblical eschatology, not the destruction of planet earth. God wants a relationship with us. Consider how Scripture describes this present reality: “Behold, the tabernacle of God is with men, and He will dwell with them, and they shall be His people, and God Himself will be with them and be their God. And God shall wipe away every tear from their eyes; there shall be no more death, nor sorrow, nor crying; and there shall be no more pain, for the former things have passed away” (Revelation 21:3-4). These promises are not mere glimpses of heaven after biological death. They describe the spiritual relationship with God available to believers right now. Through Christ’s atoning work, which destroyed the grip of sin and death, God completed in the first century His plan of salvation once and for all. The materials and information offered on this website will enable you to gain a deeper understanding of this spiritual victory accomplished in Christ. This consistent interpretation of Bible prophecy and “last days” events is taking hold in churches across America and around the world, bringing the Old and New Testaments together in perfect harmony and lifting Jesus up as the Savior of humanity. This biblical approach, we call “Covenant Eschatology” or the Transmillennial® view is not new; it has existed since the days of the apostles. It simply has not grabbed the headlines like the doomsday views, such as those of modern teachers like Hal Lindsey, Jerry Falwell or Pat Robertson. Covenant Eschatology places “last days” events in their proper context and time frame (the first century) and shows how God meticulously fulfilled all Bible prophecy before that generation passed away, restoring His Presence with His people forevermore, “world without end” (Ephesians 3:21). Most Christians are unaware that the New Testament describes the events of the Second Coming, the Resurrection of the Dead, or the end of the world as imminent events that were to occur before the first generation of Christ’s followers passed away. While this subject has been brought to the surface by scholars since Albert Schweitzer’s day (1906), the majority of Bible teachers today rarely explain or even mention these “problem” passages in their sermons or Bible classes. This selective attention on the part of systematic theology has contributed to a growing misunderstanding among Christians of the Bible’s teaching on eschatology. In 1831, the American preacher William Miller (1782-1849), originally a Baptist convert, became persuaded from his Bible studies that the Second Coming of Christ would occur sometime around 1843. For twelve years, thousands of his followers prepared for the event, convinced that Miller had uncovered truth hidden for centuries. When 1843 came and went, Miller, identified Mar. 21, 1844, as the exact date for the event. Unfortunately, nothing happened. He then named Oct. 22, 1844. It also came and went. Obviously, these inaccurate predictions seriously damaged the Miller movement. Many became disillusioned with Miller’s teachings and left, but some devoted members continued to follow him. These devotees later grew into the Seventh-Day Adventists. The “end of the world” frenzy of the 19th century also spawned the Church of Jesus Christ of Latter-day Saints (the Mormons), the Jehovah’s Witnesses, the Christadelphians, and countless other “last days” groups. In recent times, the “frenzy” has continued with the teachings of Heaven’s Gate cult leader, Marshall Applewhite, Harold Camping (author of “1994?”), Edgar Whisenant (author of “88 Reasons Why the Rapture will be in 1988”), Hal Lindsey, Pat Robertson, Dwight Pentecost and Jack Van Impe. This “frenzy” continues to flourish today because of modern misconceptions about the purpose of these prophetic events and the time frame for their occurrence (the first century). These events must be interpreted in light of their Old Testament roots (Luke 24:44; Matthew 5:17-19). They are the fulfillment of God’s covenant promise (eternal life) to the fathers of Israel. Interestingly, however, this statement follows a list of specific “time indicators” (Matthew 24:4-26) that Jesus gave to His disciples so that THEY could know when the time was “near.” These events were to happen within their own generation (Matthew 24:33-34). Although the disciples were not allowed to know the exact “day and hour,” they could know that the Second Coming and “the end of the world [age]” (Matthew 24:3) would happen in their lifetime. Jesus clearly affirmed to his disciples that the events surrounding His Second Coming — even the Second Coming itself — would occur before their generation passed away (Matthew 24:34). This was not the first time Jesus had given such a clear “time indicator.” Earlier he had spoken of his Second Coming and its associated Day of Judgment, proclaiming that some standing there with Him would live to see it: “For the Son of Man will come in the glory of His Father with His angels, and then He will reward each according to his works. Assuredly, I say to you, there are some standing here who shall not taste death till they see the Son of Man coming in His kingdom” (Matthew 16:27-28). These Scriptures and others like them (Matthew 10:23; Luke 21:25-32; Matthew 26:64; Revelation 1:1; 3, 7; Revelation 22:7, 10, 12) have caused tremendous problems for Bible interpreters. Why? Because they clearly depict Jesus teaching that His Second Coming would occur within the first century, more than twenty centuries ago. The ramifications of this are clear: either Jesus did return in the first century — and modern concepts about the nature of His return are erroneous — or Jesus was not the Son of God nor the Messiah of prophecy. The self-proclaimed atheist Bertrand Russell made use of this obvious conclusion in his work Why I Am Not A Christian: “I am concerned with Christ as He appears in the Gospel narrative as it stands, and there one does find some things that do not seem very wise. For one thing, He certainly thought that His second coming would occur in clouds of glory before the death of all the people who were living at that time. There are a great many texts that prove it…. That was the belief of His early followers, and it was the basis of a good deal of His moral teaching” (page 16). Russell used the New Testament’s “imminent” texts as “proof” that Jesus could not be the Son of God. And modern Christianity, in general, has not been able to answer adequately such objections from atheists and non-Christians. Believers today must address directly the vast misunderstanding that exists within the realm of Christianity regarding Christ’s eschatological teachings. Fortunately, Christ did keep His promise to come within the first-century generation. Christ’s Second Coming occurred spiritually — the way He intended it — at the A.D. 70 destruction of Jerusalem. This highly verified historical event signified that sin finally had been atoned forever and that all Christians from generation to generation could live eternally — on earth and in heaven — without separation from God. Although this concept of the Second Coming may seem foreign to some, the beauty and consistency of this view are explained more thoroughly in our quarterly journal and in various articles contained in the Magazine section of this website. The apostles and first-century believers — living after the death, resurrection, and ascension of Jesus — obviously expected Christ’s return in their own lifetimes. This was probably because of the explicit time indicators Jesus gave them. Every single New Testament writer expressed the belief that he was living in the “last days” and that Christ’s return was imminent in his time. 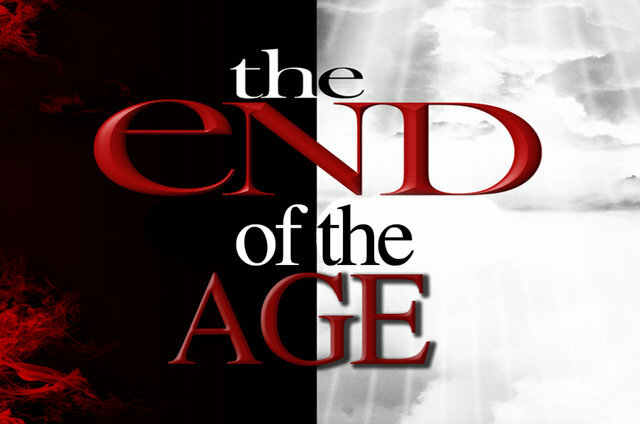 The apostle Paul told the Corinthians that the “ends of the ages” had come upon them (1 Corinthians 10:11). He told the Romans that “the night is far spent, the day is at hand” (Romans 13:12). He told the Philippians that “the Lord is at hand” (Philippians 4:5). He told the Thessalonians:”We who are alive and remain until the coming of the Lord …” (1 Thessalonians 4:15). Other “time indicators” from Paul include 1 Corinthians 7:31; 1 Thessalonians 5:1-11; and 2 Thessalonians 2:7. The apostle Peter similarly proclaimed this idea, writing in his first epistle that “the end of all things is at hand” (1 Peter 4:7), and he called his days “these last times” (1 Peter 1:20). In his sermon to the people at the Beautiful Gate, he told the crowds that “all the prophets, from Samuel and those who follow, as many as have spoken, have also foretold these days” (Acts 3:24). James, the brother of Jesus, wrote in his only New Testament letter that “the coming of the Lord is at hand” and “the Judge is standing at the door!” (James 5:8-9). In this context, he exhorted the first-century saints to “be patient” as a farmer patiently waits for rain (James 5:7-8). The writer of Hebrews made clear the times and seasons then occurring, calling them “these last days” (Hebrew 1:2). He later added that “the Day” was approaching in their time (Hebrews 10:25) and “yet a very little while, and He who is coming will come and will not delay” (Hebrews 10:37). Perhaps most emphatic was the apostle John, the writer of three epistles, the fourth gospel, and the Book of Revelation. John made clear his belief that the “last hour” was occurring in his lifetime: “Little children, it is the last hour; and as you have heard that the Antichrist is coming, even now many antichrists have come, by which we know that it is the last hour” (1 John 2:18). He affirmed that the prophecies of the Book of Revelation would “shortly take place” and that “the time is near” (Revelation 1:1, 3). At the end of Revelation, John recorded the angel’s command not to seal up the words of the prophecy of the book, “for the time is at hand” (Revelation 22:10). By contrast, Daniel was told nearly five centuries earlier to “seal the book until the time of the end” (Daniel 12:4, 9). Apparently, that “time of the end” had come in John’s day. The sheer number of these “imminent” passages demonstrates that the first-century saints expected the end of the age to occur in their own time. And they were inspired by the Holy Spirit to write such things. And they were not disappointed. Rather than living in the last days, we live in the first days of New Creation, the age where God has promised to make all things new. Living each day in the fullness of God’s time, for he is with us! *This article was written by Tim King the founder of Presence Ministries. Tim has been instrumental in gently helping us begin a paradigm shift in our understanding of the Scriptures and coming to a fuller realization of God’s presence in our lives. His father, Max King, authored The Spirit of Prophecy in 1971 and it was that foundational work that spawned Presence.